A 2ch thread from 2007 (!) translated from... definitely probably Japanese. It's all very simple, really. Also, everything is spelled and typed exactly right. (as it should be). The insides of those spill out pretty much without fail. MOSby there's no way to eat it cleanly? ^ I'm disappointed in you. I refuse to let the ingredients collect down below once I'm done with the burger. If you point it up as you eat, it won't collect in the bag, right? ^ Wouldn't that be embarrassing to do in the restaurant? Whoa, whoa, you don't know...? First, you hold the above right-hand and opposite corners, yeah? Then you overlap the ends proper, and spin it 'round to change direction. 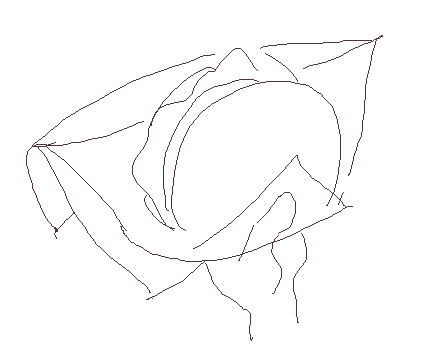 Then, take it so the pointed lower part comes out (from the opposite side) and turn it in front of you, precisely. Then it'll open up just right, so you can slowly sink your teeth in. That way it'll never fill up in the bag. Perfect. Well first, you open up the bag, yeah? Then you take the part you're holding with the top left-hand and the opposite edge you're holding with the right hand and overlap 'em, right? Then, you bring it 'round, and it comes right to you, the lower part does. (The place the sauce yer talkin' about likes to pile up). Then, (slowly) turn it. Precise. All exact-like. With that done, the part that was opposite earlier, the part you can use opens up, so eat from there instead of right-on. In other words the part that just opened up. Can you explain with a picture? Hold on a sec. This method's known by names like "reverse spin," "spinning-open," etc. locally (in my area). You dunno those? You guys must live someplace really rural or what (I do too, but). Ultimately, you want to get the bag (or not the bag) to be exactly right, so when you turn it, you want the lower part to come around, right? If you can get that, it should be clean, is what it means. So if you can get that it's good. Of course, to say it in advance, what I mean with the formerly-reverse (?) part is down, y'see. Then, to leave it like that, if the part you got first is right, and the edge is left, then that'll give you the process to keep it clean. So when you first open it, it's the left hand (right from the other side), 'course. Anybody from east Japan should know this. Sorry, got it backwards, haha. Guess you wouldn't get it with a mistake like that, heh. I drew a diagram, but what's a good uploader (?)? I've got my hopes up for this. I'm not good at art, but I'm pro at diagrams. No one's telling me a good uploader, so I'll put it up wherever. 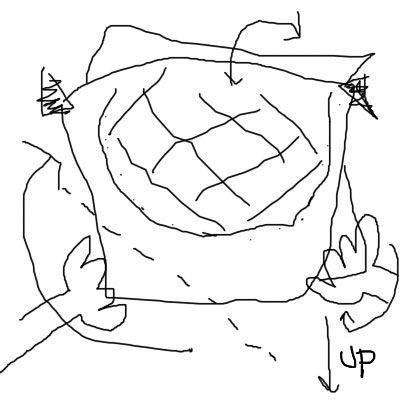 >I'm not good at art, but I'm pro at diagrams. I love these sentences, brimming with confidence. Top is how to hold, bottom is the movement. Hold the triangle parts. You could say it follows a timeline. Look at it while looking at the sentences. Who told you you're good at teaching?? Why can't you guys get this thing we can all do in my area (everyone can)...? The place you should be careful. >The place you should be careful. I already gave up here. Sorry... I don't get it one bit. The more you explain, the more nonsense it gets. So the dotted line in the photo is where you should fold first, right?! ^ That works too, but if you did that (first, right? ), you'll absolutely run out of space (probably definitely), and the second-time turnaround will be about half a turn. In that case, the calculations (as calculated) won't be enough to turn it around, so maybe it'll be messier than my method. Is is 'cause the process is just too good...? Or because you come from the left...? Ahh... I wonder if EEG+aMnW0's eating process can be put on tables at MOS as a template...? It might get popular there. Is there even a single person who understands this? If there is, please explain it in simple words!!!!!! EEG+aMnW0's explanation has too many technical terms and I'm baffled!!!! Actually, there's nobody who gets it. There isn't a single part that can be understood. In terms of what post, somewhere around your first post. Okay, so if you fold the edge counterclockwise left from the right, and make the paper angle about 30 degrees, that'll work? I don't understand, but I tried to interpret it. You guys are just adorable, you know that? Wat a sec for me. >Okay, so if you fold the edge counterclockwise left from the right, and make the paper angle about 30 degrees, that'll work? For instance, "counterclockwise" - what's it "counterclock" to...? Don't fold on the dotted line, I said! I mean, it goes fold to turn, but it won't go turn to fold, probably. >You guys are just adorable, you know that? To make it if only a little easier to get, I made a 4-panel comic. My friend got my explanation right away. (relatively). In other words, saying I'm wrong isn't right, I guess (my explanation)? Is what that means. So I asked if my explanation was easy to understand. Easy to understand, sure, but I wonder, they said. Difficult? Hmm, maybe a little. But do you get it or no tget it, which one? You got it, right? I said, hmm, (forgot) well, anyone should get it they said, maybe if you wrote it they'd get it? This is just what I'm getting by feeling, but is it something like this? >This is just what I'm getting by feeling, but is it something like this? In other words, you're holding the burger with your fingers wrapped on it? Especially if it tilts sideways, won't it spill...? We all know the feeling of wanting help here. The more he writes, the deeper the mystery gets... Help!! I'm trying super hard to write this, y'know. I know I'm bad at Japanese, but I've never been told I'm bad at explanations before. But I want you to get it, so I'll keep trying some more. We're all rooting for you!!! Try your best to explain it! And we'll do our best to understand!!!!!! Good luck! All told, we're all rooting for you, I think. I'm thinking this is my last chance, it's going to be. So I'm solely putting my guts into that. A little bit at a time, starting from when you first buy it!! Got the text ready, to be posted up. In my eyes, I wrote it extremely (fairly) carefully. Honestly, I didn't think it'd get to this point. If this doesn't get you to get it, I'm backing out. Everyone tell me honestly how it goes (if you got it?). I've got a handkerchief ready. Hold it while slowly turning the burger itself. 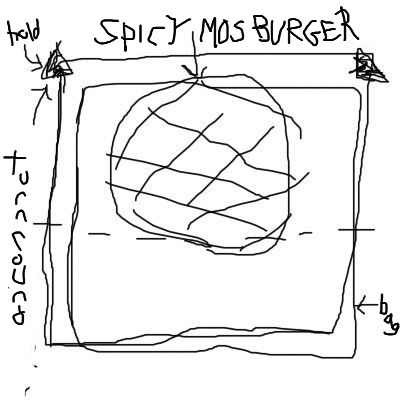 Okay so, for the objective, to not get messy, from before you finish eating up to after you finish eating, you keep the bag (or not the bag) (I dunno how to say it) it exactly in place, until the end, depending on the burger, I realized the objective is to make it reliable. Doing that, that turning method is frontward, or (like was in a reply earlier) you can only go turn to fold, but of course here the latter (and the former) you can't use, so you turn it front. Not toward the back, toward you. In other words, for instance, when you go turn to fold, in reality is, the order is fold to turn. So, the part that was the back (of course, since the timeline is backwards, the part that was front, will be front next, up to now (in the above explanation) "was" back), in the way I just said, you need to act so that it comes down. And it means that too, in a sense. And at that time (when above), regarding your holding hand, if you get it from the top, that's a success, but if you're holding down~ then you have to reverse it, and absolutely from the start you want to plan it so you're holding on the top. you just overlap that with the opposite side, and you're good. it'll all spill out like that, so to keep that from happening, next you turn it 'round in the direction opposite that (opposite of hand) (opposite of right-hand), and it's just right. There was an argument about folding/not folding on the dotted line, but maybe if you do fold it you can still do it, but you'll run out of space, which'll have an impact, so I won't recommend it. But why does inverting the timeline reverse front and back too...? This thread really teaches you the importance of being able to explain things. Explain it more complicated, actually. I'm departing to a land without MOS burgers. (For a while.). Once I do, I won't have people telling me you don't need (), don't know what I mean by bring it 'round, this and that with timelines, etc. (so I think). I liked MOS, but in the new land I'll find some other food I like somehow. (But I won't forget). This usage of parentheses might catch on, lol... (Definitely) maybe.